Roslyn High School valedictorian Todd Warshawsky, left, and salutatorian Abigail Flyer, graduate at 3 p.m. Friday, June 23, at the Tilles Center for the Performing Arts. This year’s Roslyn valedictorian and salutatorian showed that high school is more than exams and projects, spending as much time on the field or the stage these past four years as they did in a classroom. 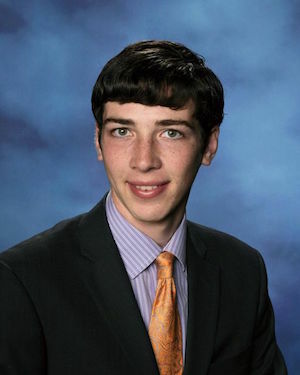 Roslyn High’s valedictorian Todd Warshawsky balanced his time in high school between classes and sports. Warshawsky ran cross country and track all three seasons for all four years of his high school career, and he often had to overlap some studying and homework with down time between races at his meets. In the classroom, Warshawsky most enjoyed his statistics, European history and AP art history classes. His European history teacher, James Mumma, is known for his difficult courses but also his deep knowledge of the subject and his ability to make the past interesting for those in the present. As much of Warshawsky’s time was spent in the classroom as it was with his track coaches, Kristen Hamilton and Mark Valentino. Hamilton was Warshawsky’s assistant coach for one year and head coach the next, and Valentino just finished his first year on the job. Warshawsky said he looks forward to the new life experiences of college as he heads to Yale University in the fall. “I’m looking forward to being able to explore new things, trying new classes, trying new activities, meeting new kinds of people who I haven’t really been exposed to and explore all these new aspects of a broader world,” he said. Salutatorian Abigail Flyer has nothing but respect for Warshawsky, who edged her out for top of the Class of 2017. Heading to Duke University in August to pursue a degree in psychology, Flyer realized her passion for the study of the human mind during an advanced placement class her sophomore year. 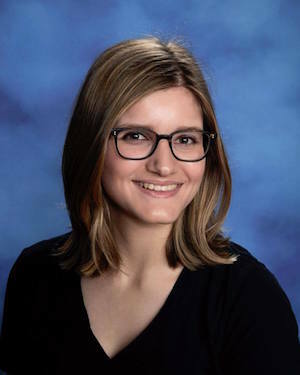 Flyer emphatically thanked her social studies teacher, Michelle Mahepath, for her lessons both in and out of the classroom that she will take with her to Duke and beyond as a young adult. Flyer was the executive editor of Student Prints, Roslyn High’s annual student literary magazine, and president of the school’s quiz bowl team. Her life’s passion, however, is music. Flyer spends her down time engulfed in music, whether it’s at home or her second home, School of Rock Roslyn, which she’s attended since she was 8 years old for singing, guitar, bass and drum lessons. She performs her musical talents a few times a year and will continue playing in Durham, North Carolina.